Super Flex 3 Review – Is This Product Safe To Use? What is Super Flex 3? Super Flex 3 is advertised as a highly powerful joint support health supplement that facilitates better cartilage and tissue quality as well as improved motion range. The product’s formulation contains at least three primary ingredients called glucosamine, MSM, and chondroitin, which are clinically proven and highly noted for their ability to enhance joint health. Super Flex 3 can be purchased through the official product website. Super Flex 3 claims to be a health product that will satisfy all your joint pain needs—it is expected to encourage better tissue and cartilage regeneration, relieve stiffness in the joints, widen movement capabilities, and bring all-around joint comfort. The ingredients included in the Super Flex 3 formulation are clearly listed and how they each foster joint pain relief is explained on the official product website. 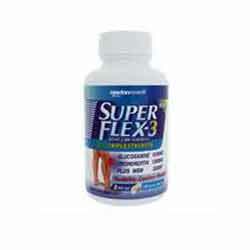 While most brands recommend a dosage of 3 capsules a day, Super Flex 3 only needs to be taken twice a day. It can be easily purchased through the official website. What are the Pros of Super Flex 3? What are the Cons of Super Flex 3? Super Flex 3 is marketed as a highly powerful supplement that caters to joint health, and it seems to have the necessary, scientifically proven ingredients in its formulation to back up that claim. However, if you take into consideration the fact that a bottle of Super Flex 3 costs $60 and doesn’t have an easy-to-understand return policy, if you note the lack of customer testimonials on the website, as a user, you might not be so keen to try the product. The promise that customer support will extensively discuss product issues does not guarantee a partial or full refund, which may discourage first-time joint supplement users who are still deciding what brand works for them the most.